T-Shirt Elephant is killing it. With over $6.5 million in sales volume and over 300,000 e-commerce transactions through InkSoft, T-Shirt Elephant is focused on sales growth and scaling. How are they doing it? 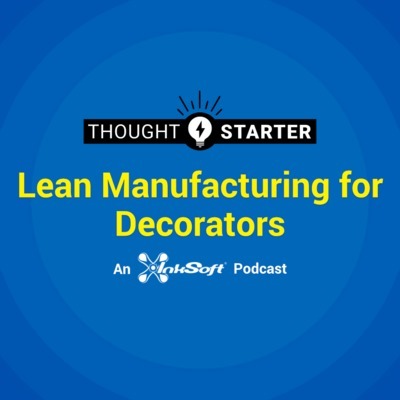 In the second installment of our Lean Manufacturing for Decorators series we look at an important concept in the Lean philosophy: 'Kaizen'. Kaizen is an important tool for incremental change and improvement. You'll need to fully embrace kaizen in order to get the most out of the lean manufacturing process. Lean manufacturing is a model for production and manufacturing used by the world's biggest and best manufacturing companies. There is a lot to learn from the principles and best practices in the Lean framework. We are going to unpack and share the most important insights to help you eliminate waste and improve your business. Saddle up...here we go! There are two ways that a ‘print business’ will interface with and be perceived by their customers: One is an agency and the other is a purveyor. 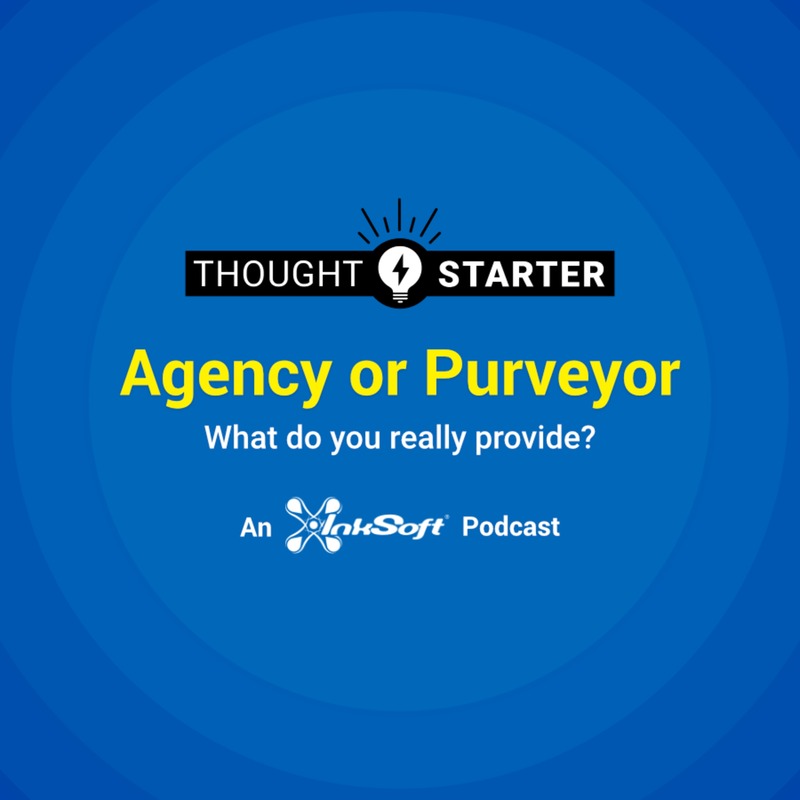 In this thought starter, we are going to dive into why the agency model is ideal for developing profitable repeat customers — and how to transition your business from purveyor to agency. Mise en place (pronounced ‘meezon-plas’) is a French term which means “putting in place”. In this episode, we will share ideas for improving your business by adopting the 'mise en place' as a mindset. Segmentation is a simple marketing practice that organizes a general group of customers into subgroups. Each subgroup has its own interests and needs. The better you segment, the better you can target customers. 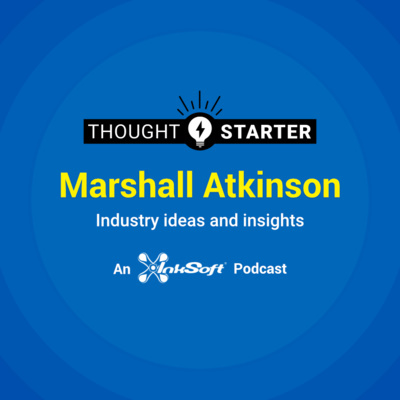 Listen as we share tips for segmentation. 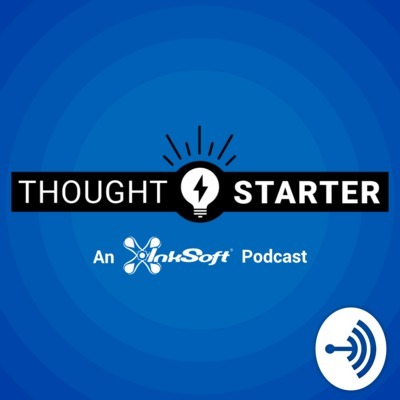 In this first episode of InkSoft's Though-Starter, we discuss creating and conducting a 'print hackathon'. A print hackathon is an easy and important way to develop your team, boost morale, problem solve, and innovate.